Half of all Australians aged between 65–74 years report taking 5 or more medicines daily, which is known as polypharmacy. Polypharmacy remains one of the foremost reasons to systematically withdraw medicines for patients. 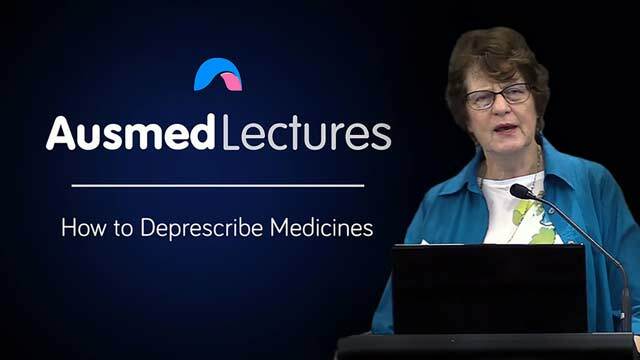 Deprescribing may seem like a daunting task for Nurse Practitioners, but in this informative and enlightening talk, Dr Jenny Gowan will step you through exactly how to go through this process with your patients, and put your mind at ease. Summary Medicines have adverse effects and the use of multiple medicines, polypharmacy, can be associated with poorer outcomes. Health professionals need to recognise when medicines should be ceased and how to deprescribe. Deprescribing could be considered when there is polypharmacy, adverse drug reactions, ineffective treatment, falls or when treatment goals have changed. If patients are slowly weaned off their medicines, withdrawal and rebound syndromes are usually not serious. A cautious approach to deprescribing includes two principles – stop one drug at a time and wean doses slowly over weeks and months.